Here we install a powerful and in some cases life-saving module called Display Suite. Display Suite will allow for some pretty awesome flexibility, and is even more powerful with the Token module, which we also install. So now we have our custom format, but in default Drupal, there's no way to set the format that's used in that Submitted byline. In the future, there's probably going to be a contributed module that will allow you to adjust the Submitted By text and date format. In Drupal 8, at the time of this recording, we have some limited options, but one of our options is a module called Display Suite which is a powerful solution for a variety of problems that you might run into. So, what we're going to do is use Display Suite in order to create a custom field that displays the text and date format that we want. 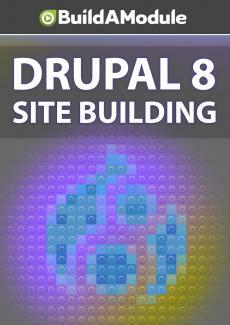 So, I'll do a search for Display Suite Drupal and we'll go to the project page. It's at Projects/DS. I'm going to scroll down and I'll copy a link to the latest recommended version. I'll go back to the site. We'll go to Extend and Install New Module, paste in the URL, and click install.